The E3 conference is currently blowing video game nerds' minds over and over again as it announces new game after new game. 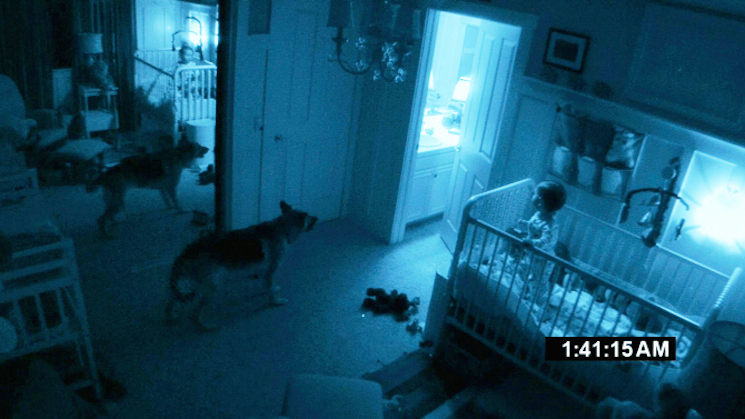 Fans of the long-running found footage horror franchise Paranormal Activity will now have reason to join in on the fun — the movies are being adapted for a new virtual reality game. Surely adding a new depth of terror into the franchise's now predictable jump scares, the virtual reality game will be available for the Oculus Rift and Sony's Project Morpheus. In other words, you'll feel trapped in the terrifying situation thanks to a virtual reality headset. The game is being developed by VRWERX, a division of Beast Media Group. In a press release, Beast's co-managing partner Russell Naftal said, "Paranormal Activity is the perfect property for VRWERX. This franchise represents a huge audience that loves visceral, unbridled terror, which we intend to intensify through the incredible immersion that only virtual reality enables." The virtual reality Paranormal Activity game will arrive next year for Project Morpheus, Oculus Rift and HTC Vive as well as PC, Xbox One, PS4 and mobile platforms.